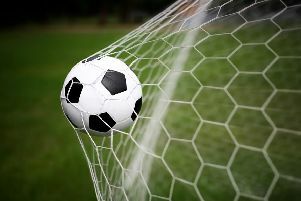 A second-half resurgence saw Chichester City net four times to win 4-2 against AFC Bournemouth in their latest pre-season friendly at Oaklands Park. The Cherries took a 2-0 lead into the break with both teams struggling to find their feet in wet and windy conditions. Lauren Cheshire, Chloe Tucker, Cherelle Khassaland Natasha Stephens scored to turn it around for City. In the second half Chichester came racing out of the blocks and scored three in five minutes. Oaklands Park had passed a morning pitch inspection although the rain got harder as kick-off approached. Stephens had the first clear-cut chance but the Cherries goalkeeper managed to palm away Khassal’s cross as the former Pompey winger went for a headed effort. In the 11th minute the deadlock was broken as a Bournemouth striker turned Tiffany Taylor before curling the ball into the top corner. Seven minutes later and the lead was doubled from a brak following Chichester corner. Tucker nearly had a quick goal back for City from a Cheshire corner only to be denied by the woodwork. Stephens’ excellent cross was palmed away by the keeper before a City effort smashed the post and another was well saved by the Cherries keeper. In the second-half Chichester came racing out of the blocks and scored three in five minutes. Cheshire netted the first as a quick move found the skipper on the edge of the box and she tucked the ball into the bottom corner. Two minutes later Tucker scored the equaliser from a Cheshire corner. The third was scored in the 52nd minute as a Bournemouth defender lost the ball, with Khassal on hand to put City into the lead. Chloe Melton returned to the side for the final 15 minutes alongside a trialist left winger, both wreaking havoc. The trialist winger was unlucky not to score and then Stephens was denied twice after a great Melton cross. With ten minutes remaining Chichester found a fourth as Melton crossed for Stephens, who scored at the second attempt. * Also in pre-season action were Clive Stubbs’ development squad, who are preparing for life in the FA Women’s National League Reserves Southern Division. They hosted Eastbourne Town Ladies at Sidlesham and took a 1-0 lead into the break. Stubbs’ team added another two after the interval. Here are Chi City Ladies’ fixtures for the new FA Women’s National League premier south season.